In April, landowner East Maui Irrigation Company, Ltd. (EMI), the oldest subsidiary of Alexander & Baldwin, Inc. (A&B), granted TNC a permanent conservation easement over the 3,721-acre parcel adjacent to TNC’s existing Waikamoi Preserve, giving it management control of the land. The combining of the two parcels forms the state’s largest privately owned nature preserve at almost 9,000 acres. 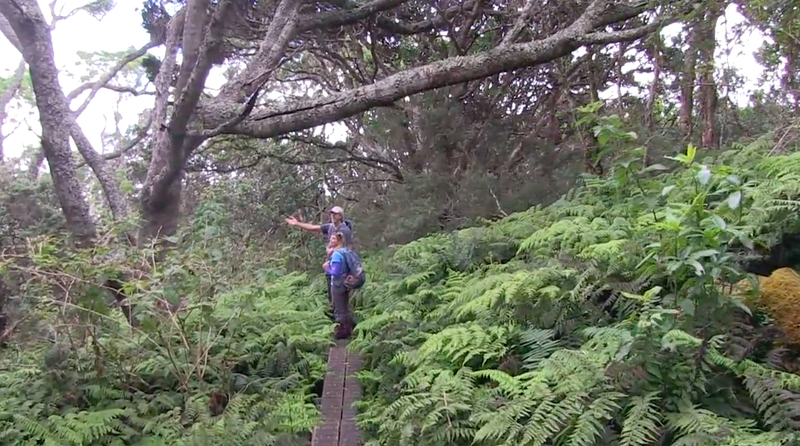 The new Waikamoi extension consists of undeveloped rainforest at elevations from 3,600 to 9,500 feet above sea level. The native ‘ôhi‘a forest contains 20 threatened or endangered plant and animal species, including the endemic ‘âkohekohe (Crested Honeycreeper, Palmeria dolei) and kiwikiu (Maui Parrotbill, Pseudonestor xanthophrys), two of the rarest birds in the United States. The remaining populations are estimated at 3,700 ‘âkohekohe and about 500 kiwikiu. Management funding for the new NAPP parcel will provide for the potential recovery of these and other rare and endangered plants and animals by focusing on the control of feral animals and invasive weeds such as Himalayan Ginger (Hedychium gardnerianum), which can choke out understory vegetation and threaten native flora and fauna. The U.S. Fish and Wildlife Service Recovery Land Acquisition Program, through the State DLNR, funded up to 75% of the original $190,000 acquisition costs of the EMI parcel. A&B provided TNC the easement at a discounted price of $142,500, donating the required 25% in matching private funds, or $47,500 worth of value.